I am sharing with you something that I think you should NOT make!! Don’t do it! No matter how tempting it maybe! It’s pure danger!!! If you do decided to make it, be warned that I told you not too!! Yes I did it! 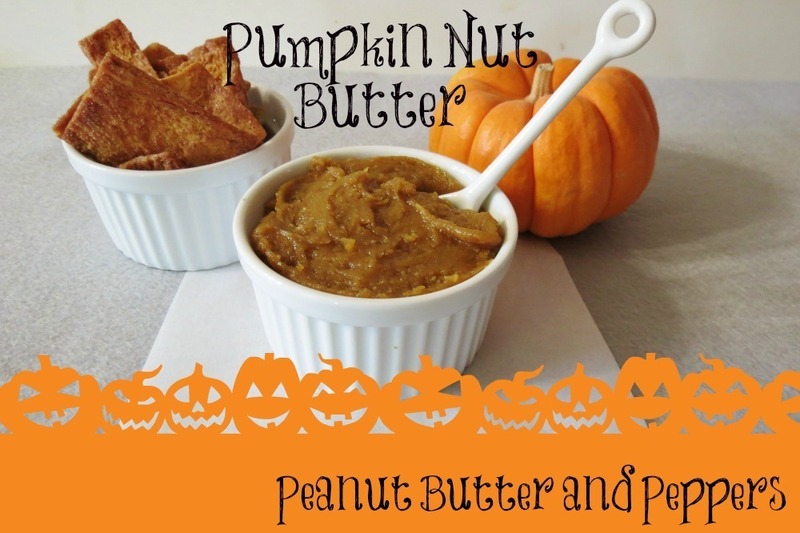 I combined peanut butter and pumpkin and came up with the most delicious creation!! This spread tastes just like pumpkin pie, but thicker. Holy pumpkin is it good!! I smeared it on toast, pumpkin bread, yogurt, oatmeal and yes, I even spooned it!! If you haven’t made a homemade nut butter, you must! Just do it! Once you go homemade, you will never buy store bought again!!! Trust me on that!!! I used cashew nuts for this recipe because the flavor isn’t as potent as peanuts. I also used cashews to make a few of my other fun nut butters like Chocolate Coconut Cashew Nut Butter and Chocolate Chip Cookie Dough Cashew Butter. Yummy! That reminds me I need to make more of the chocolate chip cookie dough cashew butter! That went so fast in my house! Remember when I came home from work and little Jenny ate most of it? That made me upset!! She never touches my nut butters, except for the chocolate chip one!! It’s chocolate after all, I can forgive! 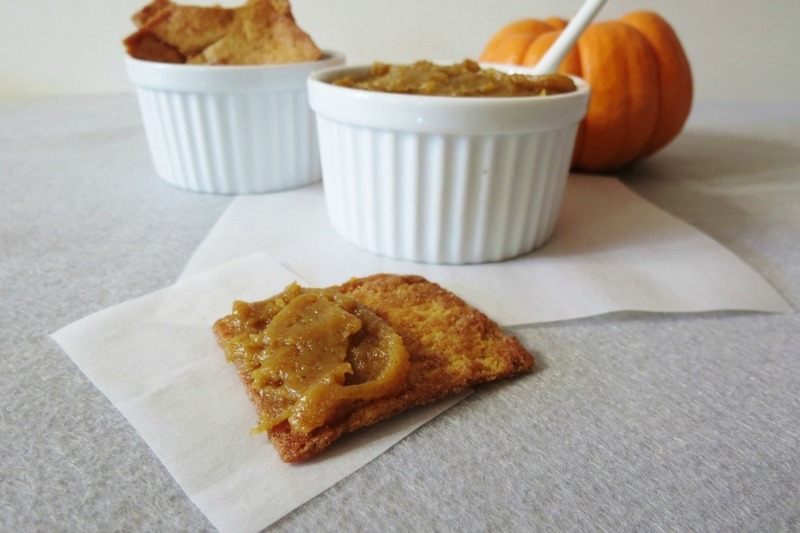 I served the Pumpkin Nut Butter with a side of cinnamon and sugar pita chips! Oh the chips are so good!! That was a perfect combination!!! A creamy, thick nut butter that tastes like pumpkin pie. Perfect for topping on toast, muffins, oatmeal and yogurt! In a food processor, add cashews and process until smooth. You will need to scrape down the bowl numerous times before it smooths out. It takes about 8-12 min. Once it the ball stage happens and the nuts smooth out again, add remaining ingredients. Process again until smooth, scraping the bowl as necessary. about 2-4 min. I am loving pumpkin season! I have another pumpkin recipe coming to you later this week!!! Yah! I can’t get enough of the orange goodness! What is your favorite pumpkin recipe? Do share!!! Well my Friends, time to make dinner! P.S. I was just thinking, am I driving you crazy with to many pumpkin recipes? 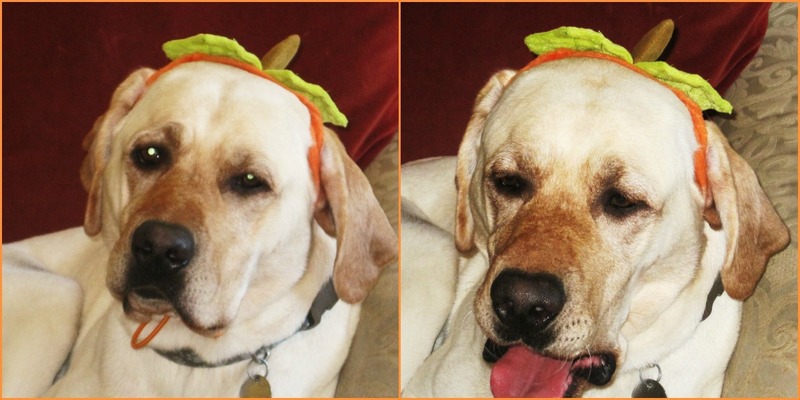 Do you feel like the second picture of my dog Sampson? Just let me know!! Thanks! Get a food processor, it’s so worth it! You can do so many great things with it besides peanut butter!! Oh my! Pumpkins and cashews! This sounds incredible, Jen! Thank you!! It would go great on one of your homemade breads!! I have them book marked for weekend baking!! This would be so yummy on toast! Any idea how long it will keep for? Good morning! I would imagine that it would keep for at least a couple of weeks. Mine has been in the frdge for 5 days now and its still good as the day I made it. Oh my, this sounds wonderful! I’m imagining it on a piece of toast with a drizzle of honey! mmmm mmmm! That sounds good! I think that is what I’ll have for breakfast tomorrow!! lol, make and you’ll love it!!! It’s so good!! Mmmmm, pumpkin nut butter, let me count the ways I’d love you and use you. On toast. On cinnamon rolls. In pasta. On pizza. On biscuits… you get it? Good. lol, your funny!!! This would be amazing on biscuits and cinnamon rolls, I bet even pizza!! My door is always open to you! 🙂 Make the recipe, be warned it’s highly addicting!! No way! I love pumpkin too, and it’s great to have so many new ideas! Thank you! Thank you!! Pumpkin is so versatile, I love, love it, love it!! 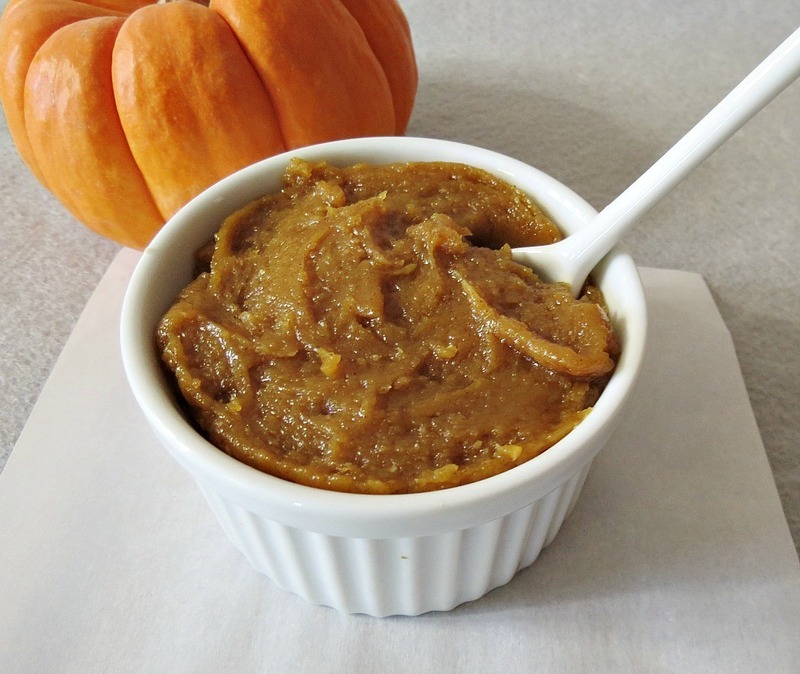 Do you think the pumpkin butter would be good in the center of a cake or even as the frosting. Haven’t made it yet but man it looks delish!!! Hi Jodi! You would have to make a lot of it for a center of a cake or as frosting. I honestly don’t think it would be great because it is really thick. It would be hard to spread. But if you did it, it would taste fantastic, but I don’t recommend it. I’m thinking here, I bet you could add do this recipe for frosting and it would work, but it’s not healthy. I saw this online at several places. Otherwise I don’ think it would work. Maybe someone else can let us know what they think of a cashew nut butter as a frosting. This is BRILLIANT!! I have to make this, and eat it on everything! Thanks Anna! I am sooooooo loving pumpkin season this year!!! This is so genius!! And I love that it’s lower in calories than regular nut butter. I need that! Ooh, this looks SO good! I am also a pumpkin fanatic, in fact I stock-up on pumpkin butter at Trader Joe’s in the fall to last me all year! Also, I just came across your blog and I love it! I am a lover of peanut butter, too, so I can’t wait to follow your blog! Also, I’m from Northern California, too! Thank you for the follow!!! I know TJ’s pumpkin butter is to die for!! Darn that TJ’s for having such good stuff!!!! Where abouts are you in N. California? I”m in the East Bay! This sounds fantastic! I love pumpkin and cashews together! Oh Sampson, your just to cute not to share with the world!! I love making my own nut butter, but am always making almond. 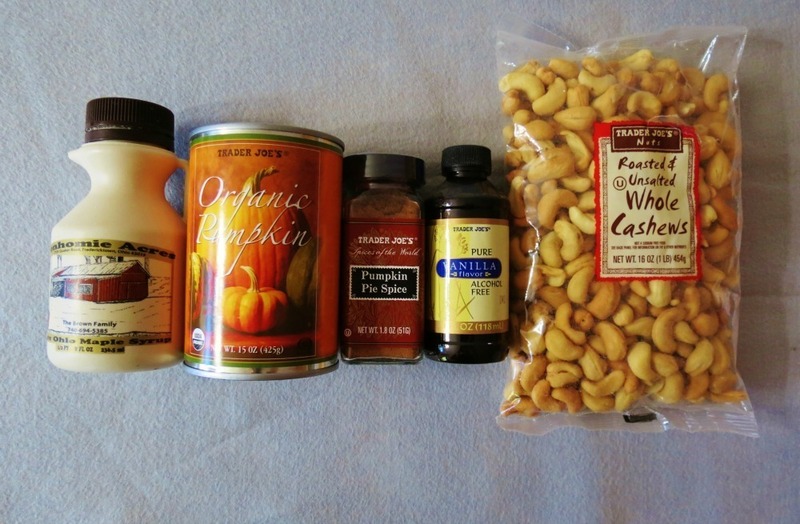 I love the cashew switch…especially with pumpkin! I love Almond Nut Butter! Every time I make it, I forget how much I love it!! 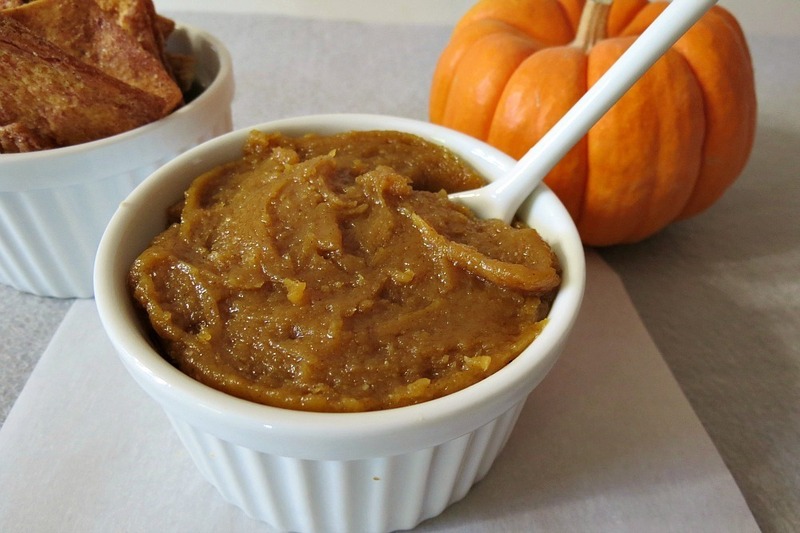 I’ve wondered how difficult it would be to make pumpkin butter…you make it look oh so simple. And delicious too! Thanks so much for linking up at Weekend Potluck. Can you please tell me how to store it? What is the shelf life? You can put it in the fridge, it should be good for a week or two.